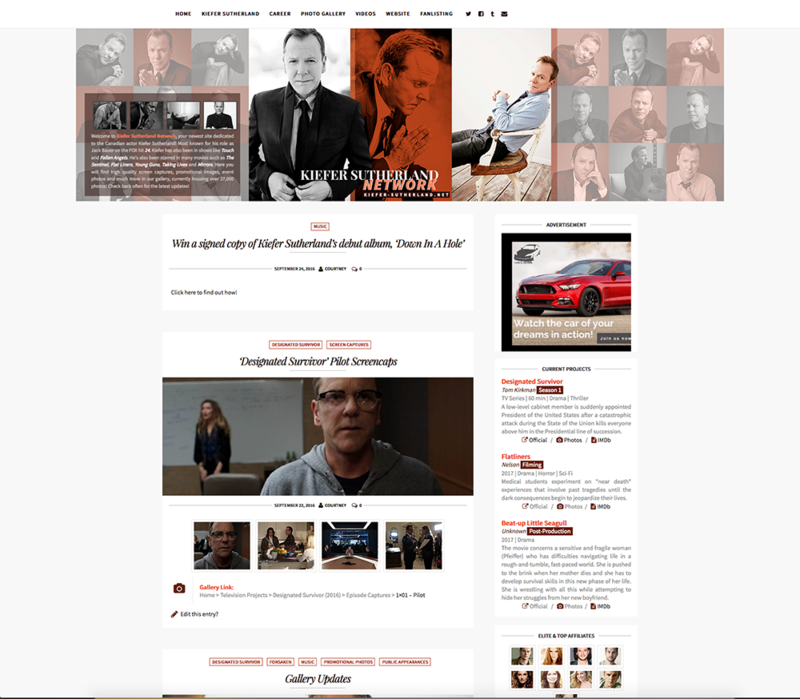 Kiefer Sutherland Network — New Website Look! This entry was posted by Courtney on Saturday, September 24th, 2016 at 8:48 pm. It is filed under Website. You can follow any responses to this entry through the Comments Feed. Home Website New Website Look!